Find out how to get organized, what supplies you'll need, types of boxes available and how to pack each one. With the following guides and suggestions, you'll find packing isn't as hard as you first imagined. Moving is tough and with so many tasks to do, it's hard to know where you should start. To help, we came up with this easy guide to help you through the first steps in moving house which usually begins with how to organize the packing and sorting of all that stuff. When you're moving, getting organized with boxes is an important step. Should you spend some money and buy sturdy boxes, or is recycling old ones the way to go? Is bigger better? Sure a big box will hold more, but is the box strong enough to hold more, and will it then be too unwieldy to carry? And how many will I need? To get you thinking beyond the box, here is help on what you need to know when getting boxes for your move. Not all of us have a lot of time to move. While we usually recommend at least 8 to 12 weeks to organize, pack up and move a home, some of us don't always have that kind of luxury. So, to help, we've provided some quick packing tips that will make your packing go a little smoother and faster. So faster, in fact, that you'll be surprised just how easy it is to get your home ready before the movers arrive. To make sure your household goods are packed securely and on time, start with purchasing the right kind and amount of packing supplies. Just remember that buying the right supplies from the beginning will save you time and energy. 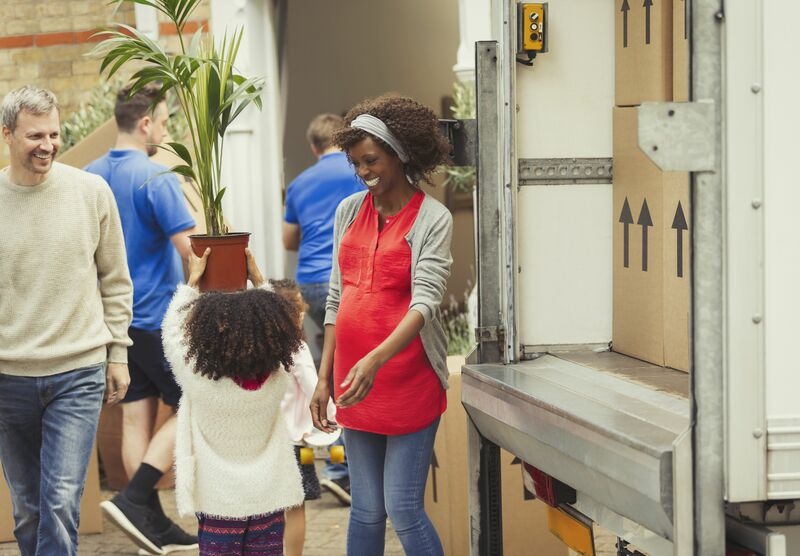 You've booked your moving truck and packed your belongings, now it's time to think about moving day. You'll want to plan how the truck should be loaded before you put even a single box in the back of the truck. Large appliances are difficult to move. Not only are they heavy and awkward, but they usually require some kind of uninstallation. Add to this issue is the fact that most moving companies insist that all major appliances are prepared before they arrive. Most movers do offer a professional service that will prepare major appliances for you for a fee. While it may seem pretty simple to prepare your appliances for moving, if it isn't done correctly, you may find units not working when they arrive at the new destination. While electronics aren't as complex to disassemble as major appliances, they still require some knowledge when it comes to packing. Use this easy to follow step-by-step guide to packing all your electronics, including how to properly label the plugs and wires to ensure you can set-up the equipment when you get to your new home. A friend of ours who moved recently decided to move her framed pictures by stacking them side-by-side then taping them together. While she managed to move them from her old home to the new place without any chips or breaks, the tape ruined the finish. So, how do you pack pictures and frames without chipping corners or breaking glass or using tape that will cause permanent damage? Find out in this easy step-by-step guide. You'll be sure to have all your artwork and photos arrive safely. It may seem that plates are pretty easy to pack and move. But, over the years and many moves, we found that plates can be easily chipped and cracked depending on how they're packed into the box. Use this guide to packing your plates to ensure they arrive in one piece. Everyone should prepare an essentials box—a box full of items you'll need for your last few nights before you move and/or the first few nights in your new home. Use this guide to know what to pack. What's Involved With Moving Yourself?